Ted Smith was an active duty JAG legal assistance officer with III Corps at Fort Hood, Texas before he opened his private practice in Killeen in 1976. Since then he has represented thousands of Central Texans by providing solutions to their legal needs. Ted finds special meaning in assisting families and individuals with their Social Security Disability claims. Clients get his special attention in all the phases of this complex process: building, documenting and filing the best possible case, from the right medical sources. Beyond these rather technical aspects, Ted takes extra-ordinary time and care to prepare and coach his clients for their hearings. These hearings are often held from the Ted Smith Law Group offices, via video conferencing, making the event a much less stressful experience. Ted is a fixture in the Central Texas community. 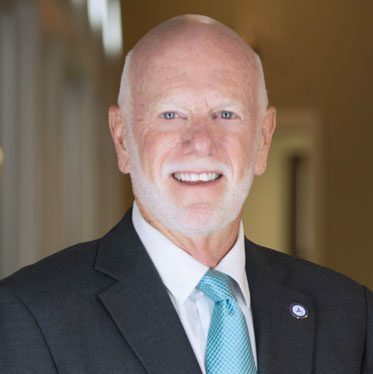 He has served as city attorney for Harker Heights; been elected to the Harker Heights City Council; served as chairman of the Harker Heights Chamber of Commerce, the Metroplex Hospital Foundation, and the Killeen Food Care Center Board of Directors. He is serving or has served on the Viva Les Artes Society Board of Directors, the Youth Services Bureau, Killeen and Harker Heights Rotary clubs, and Young Life. Ted has been certified in the fields of Residential Real Estate Law and Commercial Real Estate Law since December 1983. Both Ted and his wife, Caryl, have been awarded the Fort Hood Good Neighbor Award for their continued contributions to the Fort Hood Community.